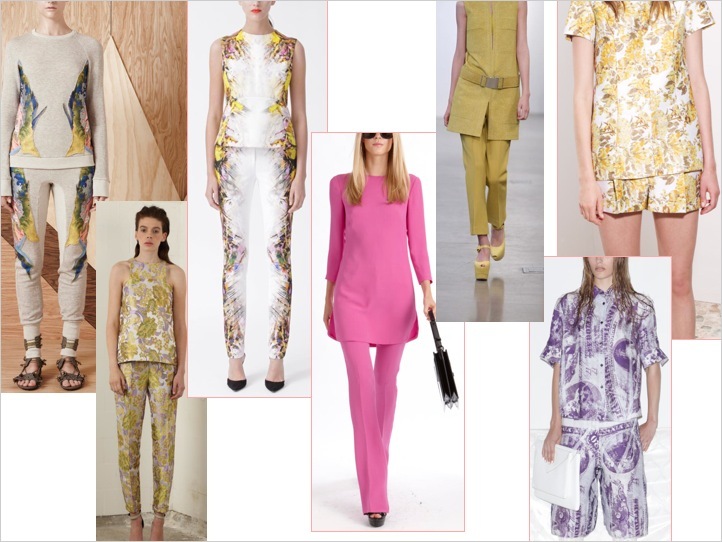 There have been several exciting new trends that I’ve spotted from the Resort 2013 collections that lead us to what we might be seeing a lot of for next Spring. As Resort is a small season that sits on the retail floor for a very short span, most of the trends from the Resort collections will be initiated in the spring season. There is one particular trend that has been bubbling up for awhile that I have encouraged the designers that I work with to take part in which is the matching top and bottom set that became so popular in the 1960′s. I started to see this trend about a year ago and it has now developed into a much larger idea that has been interpreted in many varieties for the Resort season. We first started to see tunics and dresses worn over pants and then we saw matched pajama sets. Now for 2013, the trend has taken a modern approach with designers paring it down to simple tops and matching pants. Some designers are continuing with the longer tunics over cropped pants while others have interpretations with shorts as well as a variety of prints. All in all, the silhouettes are clean and stark and modern…which is definitely where we are headed for 2013. Shapes are becoming simpler and details are minimal. But don’t worry, prints are getting crazier and funner by the minute. Stay tuned for more, but in the meantime, I would suggest hitting up the spring sales to try and get a head start on this trend. 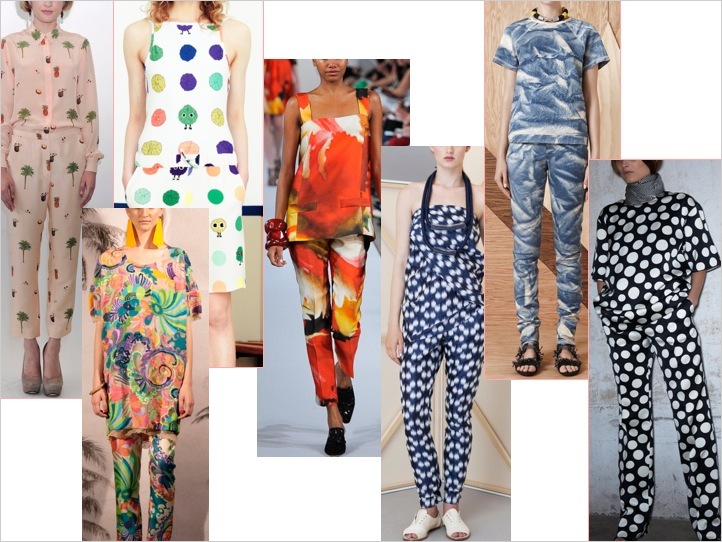 Many designers already did this trend for Spring 2012 and most likely people didn’t buy into it. So if you are out there shopping the sales, and you see matching tops and bottoms…BUY THEM!! Be sure and tell me what you found on Facebook and Twitter. So many issues with vecielhs like this in the current environmental/resource situation. Unlike exotic Super cars, these SUV’s get driven a lot, so they add considerably to our environmental and consumption woes. And it begs the question Do the rich have the right to pollute more the the rest of us?